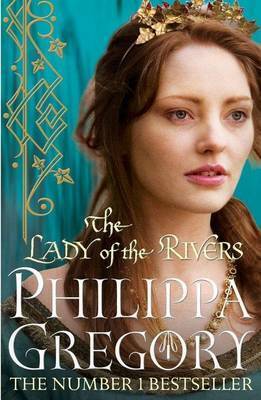 The last time I read Lady of the Rivers was nearly four years ago. And even though there were a few small things that I had forgotten, it felt like I read this book yesterday. I also must’ve liked it back then because I gave it four stars. But with time I have since read other books based around this time period. Better books. Philippa Gregory’s novels are not 100% historically correct, she also adds a mythical element to them. Which isn’t overly a bad thing, sometimes we want something different, or what ifs. And I’m all for fantasy settings in the real world. So, saying all that, even though I still enjoyed it the second time around, I didn’t love it as much as before. I found the writing to be lacking something. Not to be insulting, but something like intelligence. It’s a novel for people who don’t want to think too much. Some parts felt like it was cute. Even though it’s historically incorrect, I loved reading in the point of view of Jacquetta. She is the mother of Elizabeth Woodville, and if you don’t know who that is, google it. Living and surviving in a world run by men, also strong enough to do something for love, especially in her position, was brave. I’ve read a few of Philippa Gregory’s books before, but not in chronological order. It would be nice to see the story from one strong woman to the next in time order.